Dolphin Innovation Project, Shark Bay, Australia. 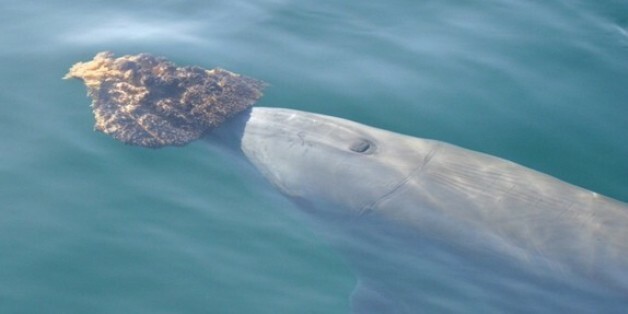 Dolphins can use sponges as tools to snag food they could not otherwise grab, researchers say. This is the first direct evidence that dolphins can use tools to carve out unique places in the food chain, scientists added. 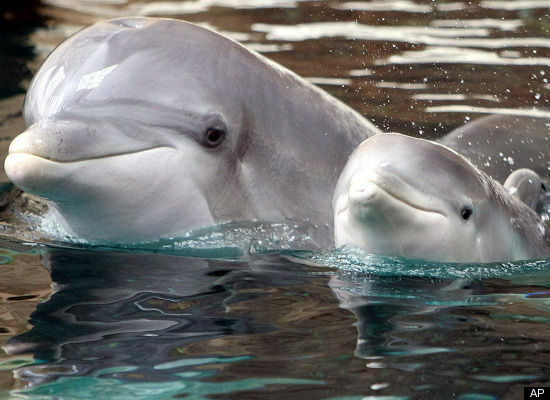 Dolphins are often ranked among the smartest members of the animal kingdom. They engage in complex forms of communication, may recognize themselves in mirrors, can understand sign language, and can learn to poke an underwater keyboard to request toys to play with. The sponges may help protect dolphin beaks from sharp rocks, stingray barbs and other painful experiences as they probe the seafloor for food. However, it was unknown whether tool use helped spongers get food they could not obtain otherwise, as is the case with humans and nut-cracking chimpanzees. To solve this mystery, evolutionary biologists Michael Krützen and Sina Kreicker at the University of Zurich and their colleagues analyzed chemicals in tissue samples from both 11 spongers and 27 non-spongers. The investigators focused on molecules known as fatty acids, which come from prey and thus shed light on the diets of the dolphins. The scientists discovered spongers apparently have completely different diets from non-spongers. "We were blown away as to how strong the differences between tool users and non-tool users were, especially given that these animals live in the same habitat," Krützen told Live Science. These findings are the first direct evidence that dolphin tool use can help them acquire new spots in the food chains of their ecosystems. "This has been demonstrated in only a few species so far, and has been implicated as a significant driver for human evolution," Krützen said. The researchers suggest that spongers may feed on fish that live near the seafloor, ones lacking organs known as swim bladders that help fish stay buoyant in the water. These bottom-dwelling fish are difficult to spot using the echolocation, or biological sonar, that dolphins normally use to pinpoint prey — the complex surface of the seafloor can muddy a dolphin's echolocation. It remains uncertain what fish sponges actually help spongers catch. To identify this prey, researchers would have to sample the fatty acids of all potential food in the bay, including ones living near, on or buried in the seafloor. "This was beyond the scope of the project, but might be done in the future," Krützen said. In future studies, the scientists would also like to discover what benefits accrue from another tool-use strategy, known as shelling, that dolphins in Shark Bay practice; with shelling, dolphins carry seashells around in their mouths. The scientists detailed their findings online April 23 in the journal Proceedings of the Royal Society B.